The history, competition, and influence of the mainstream display industry since the invention of the CRT. How the adoption process and the owner's handling affect pets' lives. A tale of a fictional character "Ink Abrams" who died as a work-a-holic and became a ghost in the school, ruining student projects. The short timeline of a Los Angeles- based frozen yogurt company Pinkberry: The reality of an over-hyped phenomenon. A documentation of my personal 12-week carbon footprint including waste, recyclables and energy consumption. Hypothetical costumes for a live action Jetsons movie: leaf blower, house keeper, bug exterminator. IKEA offers you an affordable solution for better flying. No, of course they don't. Tron Campaign: No texting while in combat — This is a 3 page rendering student work and has no affiliation with Disney Tron. 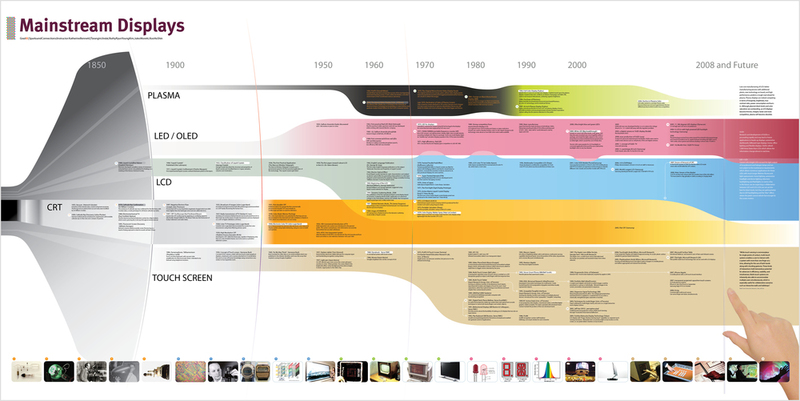 The timeline of the One Laptop Per Child project. How to mix Orange and Blue: Objective approach of a subjective topic for non-designers. Vehicle Driver's Manual Quick Book "Karma 101"